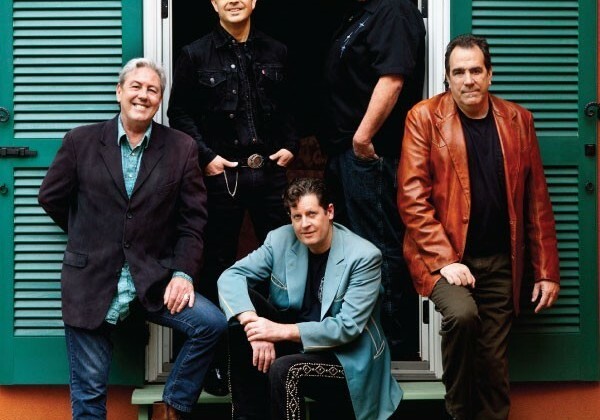 The Last Hombres are one of Long Island’s most acclaimed bands. 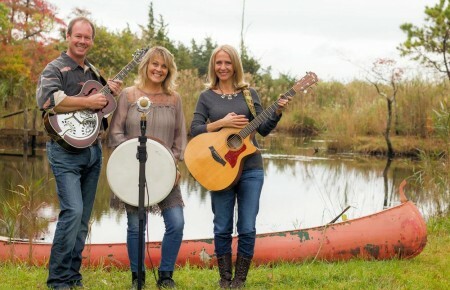 Spearheading the Island’s roots music scene, the group, which originally consisted of core members Paul Schmitz, Russ Seeger and Michael Meehan, previously released two albums. Their second album, Redemption (Koch Records, 2003), was a critical success and the Hombres, along with their drummer Levon Helm of The Band, toured extensively. Following Redemption the members of the group went their separate ways. After reuniting for a benefit for Mick Hargreaves (the leader of the King Guys was the victim of a near-death assault in 2011), the band is back together with multi-instrumentalist and singer Chris James and drummer Tom Ryan replacing Helm, who died in 2012. The group recently sold-out the YMCA Boulton Center in Bay Shore and will perform at the Great South Bay Music Festival on July 19. 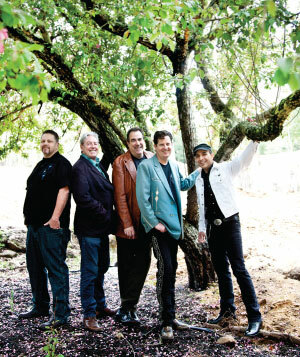 The group’s new album, Odd Fellows Rest (Red Hot Louisiana Records), will be released mid-June. Long Island Pulse: Did you ever think the group would re-form given how long you were apart? Russ Seeger (guitars, vocals): I think we all fell back into it pretty easily once we decided to do another CD. We each had some new songs that we were eager to record. Pulse: Other than the new members’ contributions, what has changed about the group’s sound? Seeger: Not a lot has changed, really. It has been exquisitely enhanced by the organ, pedal steel and the more “rocking” drumming. Pulse: Were there any other musicians considered to join the group? Seeger: We tried getting Ringo, but he didn’t return our calls! Pulse: What was it like playing with Levon Helm? Seeger: It was a huge musical life lesson. I remember showing him a new song and telling him where I wanted stops and fills and he stopped playing and said something like, “you’ve asked me to bring my tools to help shape the song, so let me use those tools and do my job.” He was always generous and kindly but he knew things that we didn’t about music. 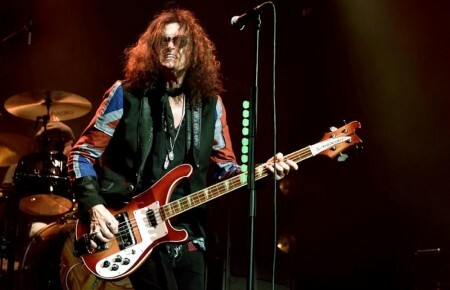 Pulse: Tom, what is like replacing Levon Helm? Pulse: Given Tom’s many various projects, like being a leader of the New York Roots Music Association, how did you get him to sit still long enough to make an album? Seeger: Tom is the ultimate go-getter musician. His energy, although sometimes quite exhausting, can also be infectious. He is a very smart guy who can handle a ton of information. Paul Schmitz (guitars, vocals): Tom Ryan is the driving force of The Last Hombres. None of this would have happened without Tom Ryan wanting this to happen. Pulse: He fits seamlessly into the new lineup. And given that he had such big shoes to fill, he seems to have been the perfect choice. Schmitz: I never felt Tom was taking anyone’s place. We had not played with Levon in eight or nine years. This is a whole new band, really. Levon has been gone nearly two years. I miss him as a friend and brother. Pulse: The roots music scene has really exploded on the Island. Do you think that the group was far ahead of the curve in embracing a roots sound? Schmitz: Music knows no borders. It does not make a difference where you live. When I travel I pick up all kinds of music along the way. I have always been a fan of music that traveled—and still travels—the Mississippi River, from Memphis to the Delta, the heart and soul of American music traveled up and down that river. Pulse: Tom, were you aware of The Last Hombres original lineup? Ryan: The only person I knew in the band back when Redemption was released was Russ. I bought a CD, but never got to see them play and never met anyone else in the band until years later. Pulse: How did your joining the group come about? Ryan: Through my various musical projects, I eventually came to know every member of the band. For Mick Hargreaves’ benefit, it occurred to me that since I knew all of the Hombres, perhaps I could convince them to reconvene just once. They didn’t hesitate and since Levon was gone, I “fell” onto the drum stool. Pulse: How about you Chris? Chris James (keyboards, pedal steel and vocals): Tom convinced The Last Hombres to re-form for [the Hargreaves] show and somehow I wound up being part of that gig. We played a short set that day and it was well received. The next thing I knew, there was talk of recording an album of new material. And shortly after I found myself sitting at the Hammond B3 at One East Studio in Manhattan. Pulse: How do you balance your time in the group with other projects? Ryan: I don’t know. Do I balance my time? It’s kind of like what they say about how sharks need to keep moving to stay alive. I am genuinely afraid of being inactive, so I do as much as I possibly can. Time waits for no one, you know (thank you, Mick and Keith). James: I am a recent graduate of the Thomas Ryan School of juggling. I think I need to go back for some post-graduate work though. I am currently involved with three musical projects and my role in each is vastly different. Pulse: What is different about The Last Hombres compared to your other projects? James: The unique experience of working with three excellent songwriters, each with their own voice, style and MO. The ongoing challenge for me is to make my contributions fit into each song. There is little-to-no repetition in The Last Hombres catalog, so each song becomes an individual challenge to contribute something musically useful. Pulse: The New Orleans influence, particularly where you use horns on “Streetlights,” really works and seems even more pronounced live. How did that come about? Ryan: Mostly through my wife, Heidy. New Orleans plays a hugely significant role in my life. When we started recording, I heard horn parts in my head, especially on Paul’s tune, “Streetlights.” I told the band that I wanted to take the tapes down to New Orleans and record some parts, and they were cool with it. But the very idea of a drummer writing horn parts from his head is almost comical. I had the audacity to recruit the Hot 8 Brass Band, and booked time at Piety Studios. The session was almost brutally difficult at first—I felt out of my league!